If you’re planning to sell your home in the future, sticking to a more neutral color scheme is a good resale strategy. Keep in mind that tried and true combinations are always a great choice. These are time-tested hues that work well against green lawns and gardens, and complement reddish brick fireplaces and roofs. You can add more impact by using darker or lighter variations of the main house color to accent things like window frames, shutters and trim. If your plan is to keep your home for generations to come, or you want to make it stand out from the rest in the neighborhood, there are ways to successfully add vibrant colors without losing curb appeal. Consider using that daring red paint on your front door in order to easily direct visitors to your doorsill. Or add bright yellow shutters against a pale blue house to create nice visual contrast. Sometimes highlighting an architectural element like an archway or chimney with a bold color can have a whimsical result. If you’re working with natural wood stains, you can choose to highlight the natural warmth by adding cool-hued accents. Very large homes appear less sprawling with a bright white coat of paint accented with primary colors. 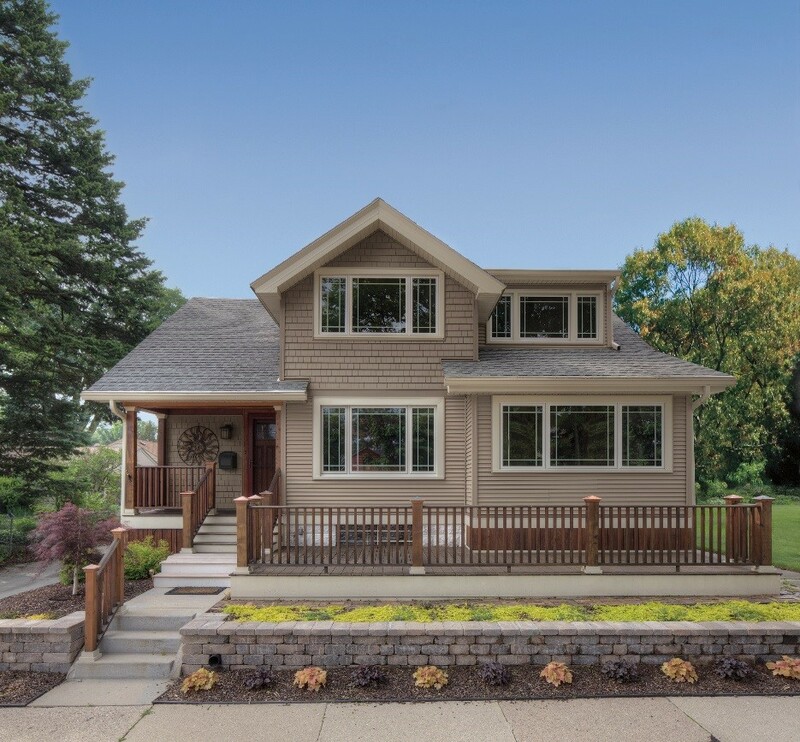 Smaller homes are more forgiving with a vibrant color palette, especially when the roof and trim are neutral toned. Using pastel versions of a bright color is a great way to add uniqueness and charm without creating disharmony with the environment. Whatever color scheme you choose, make sure to follow general rules for color harmonies, so your hues won’t compete or clash. Not sure what your final color scheme will look like? Looking for a way to test out some wild ideas? 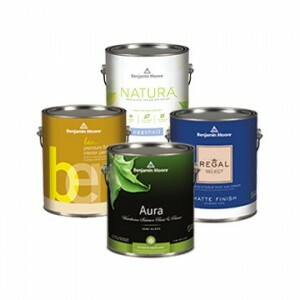 Check out this great tool from Benjamin Moore! 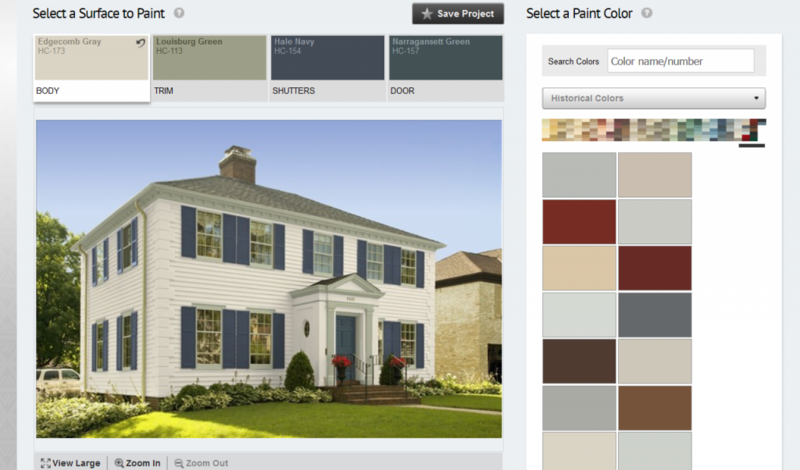 Paint your home online and see how colors will look before making a purchase with the Personal Color Viewer virtual paint color visualization tool. How does it work? 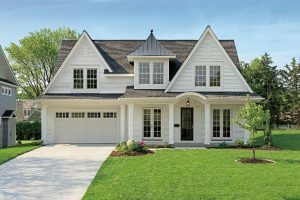 Simply choose a home exterior that is similar to yours (or upload a photo) and have fun experimenting with all kinds of color schemes for body, trim, shutters and door. The best part is, when you’re done, you’ll have a list of Benjamin Moore paint colors to bring in to GNH Lumber for your new home exterior color scheme. So, explore your color options and get creative with the possibilities! Your home’s exterior color scheme will greet you every time you turn into your driveway. So, make choices that will enhance your home’s appearance for years to come… And don’t forget to have fun!